Can I add a bed in the room? All 9 rooms at The Orchid Gulou are doubles, meaning they sleep two people in one bed. If there is a need for a second bed, one can be added only to one of our Garden rooms. If you would like to add the bed for a third person, the extra room occupancy charge is RMB 200/night. There is no extra charge if the room occupancy is still one or two persons. Please contact the hotel for ensuring your Garden room can be configured for this service at the time of booking! All Orchid Private Residences typically have larger room capacities. They are all double rooms with king beds, but often have one or two configurable sleeping arrangements; sometimes for up to 6 people. Also, residences’ prices are inclusive for however many people were designed to sleep in them. That covers extra beds as well as breakfasts at The Orchid! See all the residences for more information here. Beijing is sometimes a tough place to navigate! Please visit our location page to familiarize yourself with the details to make it a bit easier. Alternatively, we definitely recommend booking an airport/train pickup if you have any hesitation. Let our drivers find the hotel for you! Simply mention the pickup in the contact form and we will organize everything. Getting RMB out of your bank card at the nearby ATMs is quite easy. We recommend this over attempting to visit the bank for a currency exchange, as Chinese banks often assume you have set aside a whole day to change $100. Don’t give them the satisfaction of showing their wonderful red tape and use the ATM instead! Additionally, you can pay your room bill in most foreign currencies if you’d like to minimize your ATM withdrawals. Is the Orchid compatible with babies? Of course. We’ve never encountered any issue for us to imagine that this isn’t a good thing for everyone. We can also organize a crib in your room. Contact us if you need this in advance. Small children that don’t fit in the bed with their parents can also be given a small extra floor cot mattress if needed, but please keep in mind that rooms are small and this will impede on in-room dancing or open-suitcase storage. Yes! Very easy, thankfully. We have quite a few breakfast options. Beyond this, we can fully customize the breakfasts according to your needs until you leave full and satisfied each and every morning! 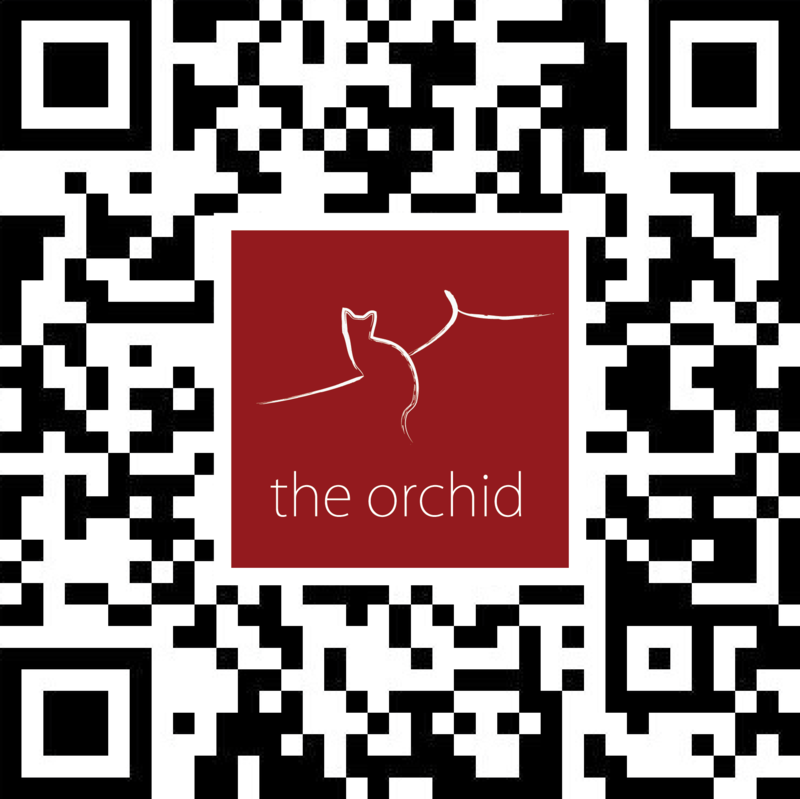 Connect with The Orchid in real-time! Download WeChat in iOS or Android and scan here to add..